This classic lemon layer cake recipe was previously published in 2013 but I am updating the pictures and recipe. Hi friends! 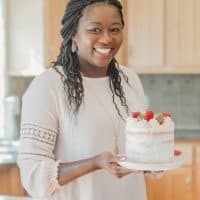 This lemon layer cake recipe is about four years old and I am reviving it with new pictures and an updated recipe for you. It is one of my favorite lemon cake recipes and rivals these classic lemon cupcakes for Spring desserts around my house. 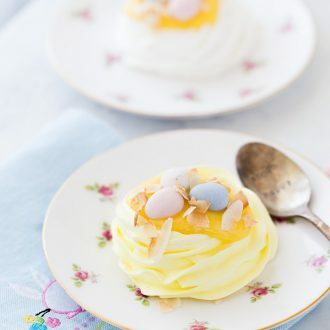 We all know spring means lemon this and lemon that and I am a HUGE fan of lemon desserts all year round. 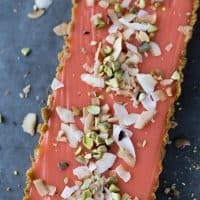 There’s something about that lip-puckering tart and sweetness that’s just perfect. This lemon layer cake starts with a sweet, tender white lemon cake that is fluffy and moist. 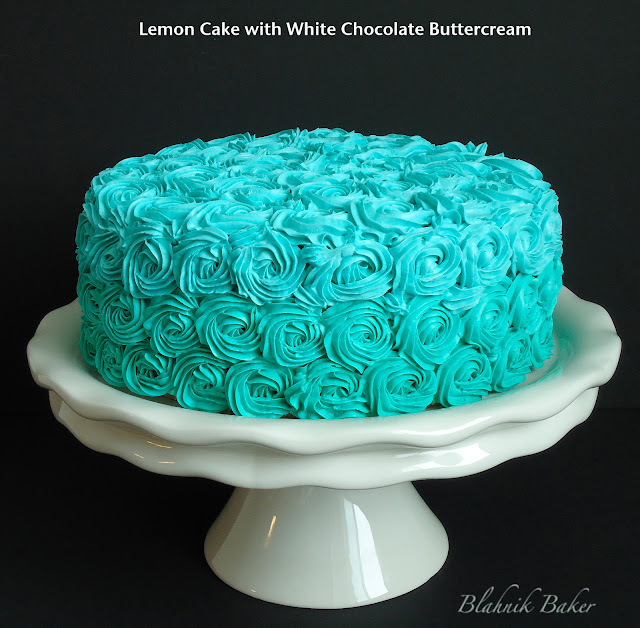 I love the double dose of lemon zest and lemon extract in the cake giving it a vibrant burst of lemon flavor. 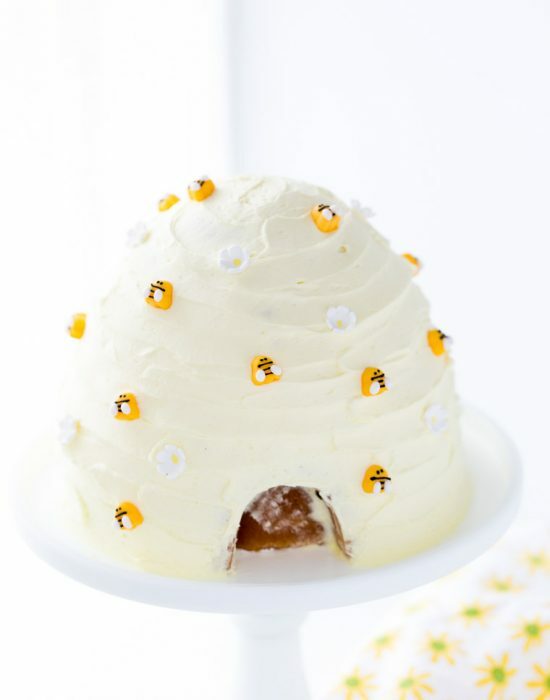 The cake is filled with an equally delicious whipped lemon buttercream AND a lemon curd filling. For the lemon curd filling, I used a homemade recipe you can find here but you can also use any store-bought lemon curd you like. Four years ago when I made this cake, it was all about the rose buttercream technique. I was excited to try this technique for the first time in my baking adventure. As you can tell I was successful on that first try and I’ve since been using this easy technique to decorate celebration cakes like this Strawberry Rainbow Cake from last year. And when I say it is easy, I really do mean it. 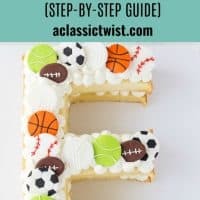 All you need is a great recipe for decorating buttercream (seriously this is the KEY and my favorite is below), Wilton Tip 21 or 1M and a 16-inch piping bag. The rosettes are easy to pipe out and here is a great video TUTORIAL from I am Baker (the queen of rosettes). For a show-stopping (easy) cake this Spring, consider this lemon layer cake with an ombre lemon buttercream. A classic lemon layer cake recipe with a moist, tender lemon cake filled with lemon zest and fresh lemon juices. The cake is dressed in a beautiful ombre lemon buttercream perfect for Spring entertaining. Decorating tools: Wilton Tip 21, Wilton Tip 1M and decorating bag. Preheat oven to 350 degrees C. Butter 3 9-inch cake pans, line with parchment circles and butter the parchment. Combine buttermilk, vanilla, lemon and almond extract. Set aside. In the bowl of an electric mixer, beat the butter and sugar on medium speed until pale and fluffy, about 5 minutes. Add eggs, 1 at a time, beating well after each addition and scraping down the side of bowl as necessary. 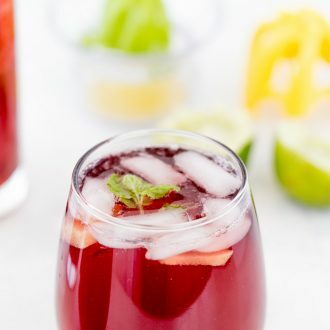 Mix in lemon zest. With the mixer on low speed, add flour mixture in 3 batches, alternating with 2 batches of buttermilk and beginning and ending with flour. Divide batter among pans, smoothing the top with an offset spatula. Bake until golden brown and a cake tester comes out clean. About 30-35 minutes. Transfer pans to wire racks to cool for 10 minutes. Turn out cakes onto racks to cool completely. In the bowl of a stand mixer, beat the butter on medium-high speed for 6 minutes until light and fluffy. Add in the rest of the ingredients and mix on low speed for 1 minute or until combined. Increase speed to medium-high and beat the frosting for 5 minutes until fluffy and light. Divide the frosting, reserving 1 to 2 cups, into mixing bowls and add one to two drops of the gel color of your choice. 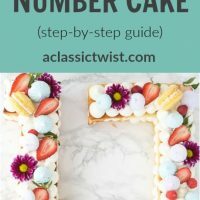 Place your first cake layer on a cake plate. Fill a decorating bag with your frosting and pipe a border along the edge of the cake, creating a dam in the middle. Spread 1/2 cup of your lemon curd filling on the cake, within the piped border. Spread evenly. Top the curd with some frosting, about 1/3 cup and spread. 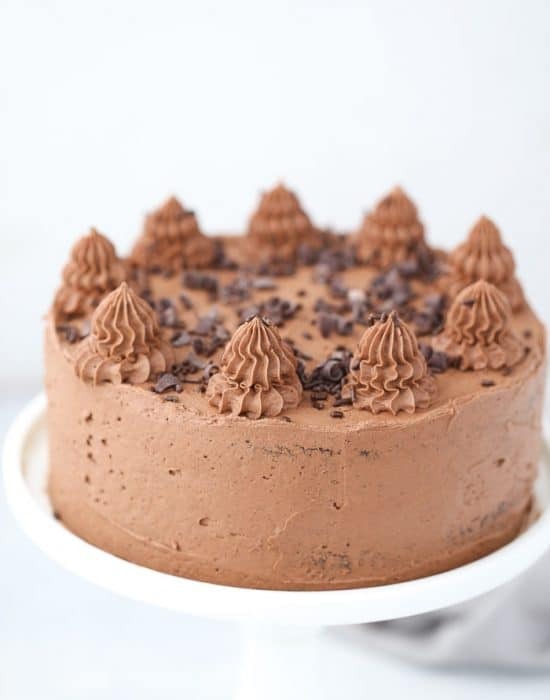 Repeat the process with your next cake layer. 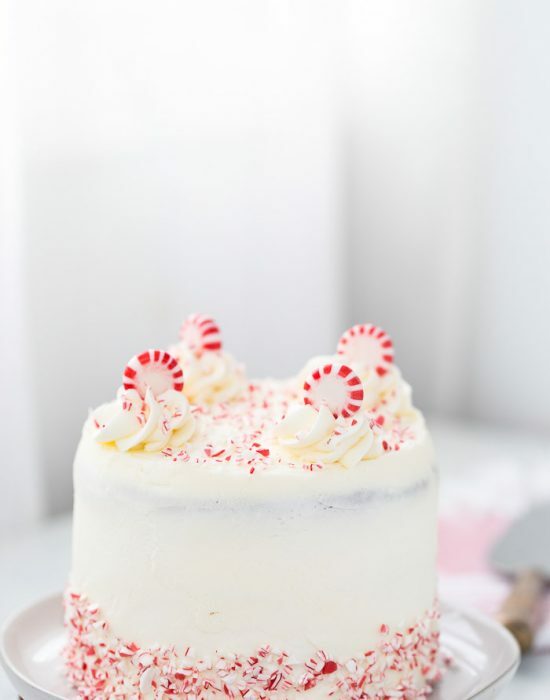 Finally, frost the top and sides of your cake with a thin coat of frosting. 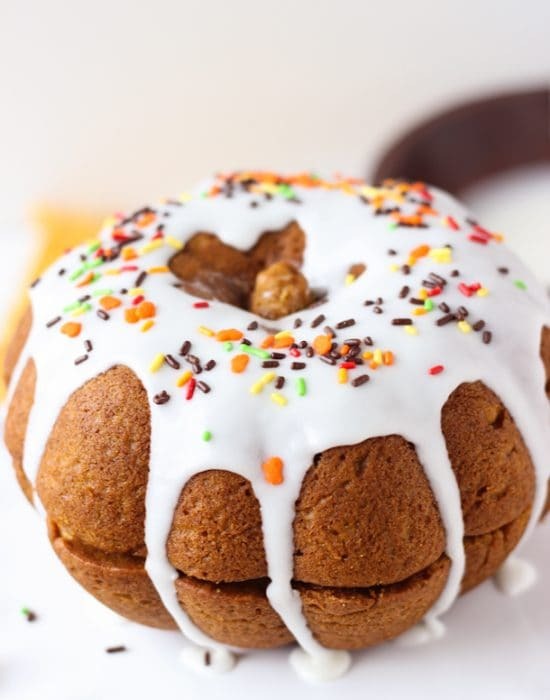 Place cake in the refrigerator and let chill for 20 minutes. Meanwhile, color your frosting with your desired colors. 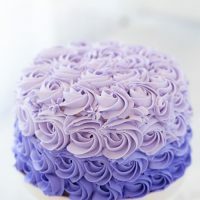 I used purple gel coloring for this cake and divided the frosting into three to have three shades of purple. Using Wilton tip 1M or tip 21 fitted to your decorating bag, start with your darkest color and pipe rosettes around your cake in one row. 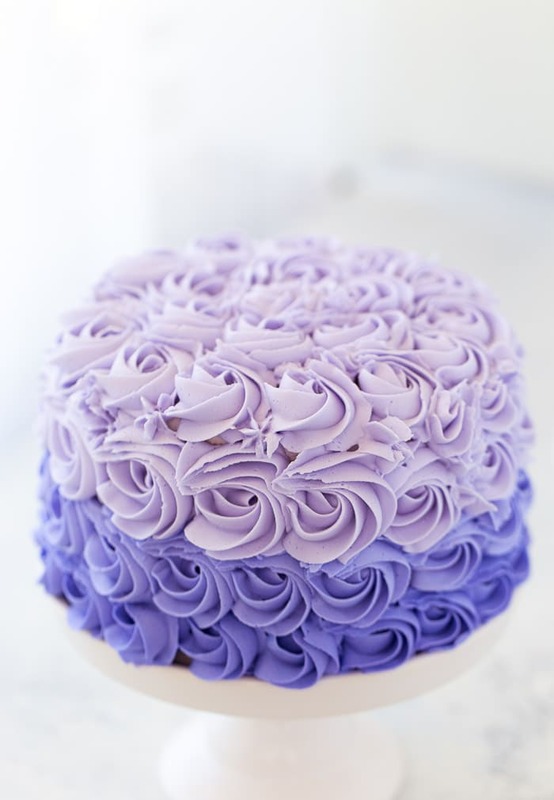 Repeat the process, using lighter colored frosting, until the cake is covered in rosettes. i loveeeee this one 🙂 you’re so talented!!! baker and photographer ! hi.do you store this cake in the fridge? You can store at room temperature for up to 2 days or in the fridge for up to 5 days. Hope that helps. all this lemon!! 😋 back in the cupcake phase days, my favorite was a meyer lemon cupcake with lemon buttercream and lemon curd. 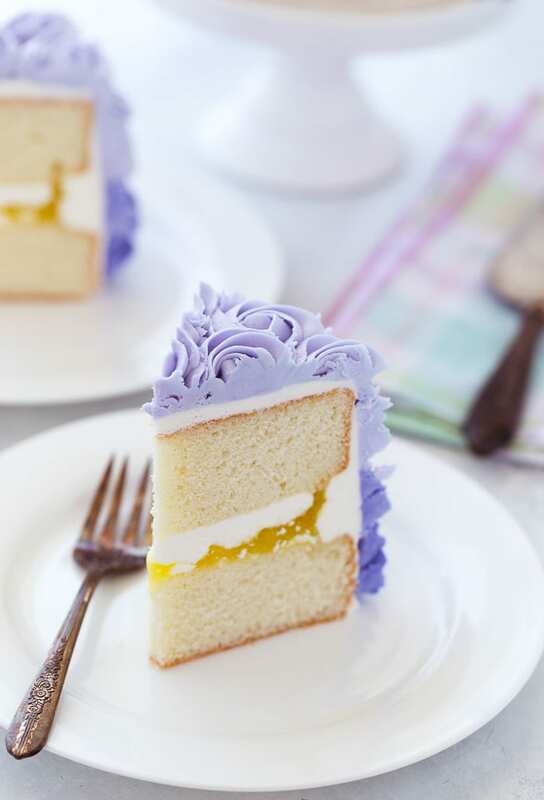 this sounds just as fresh and lemony, and the piping is gorgeous (especially since purple is my favorite color!). 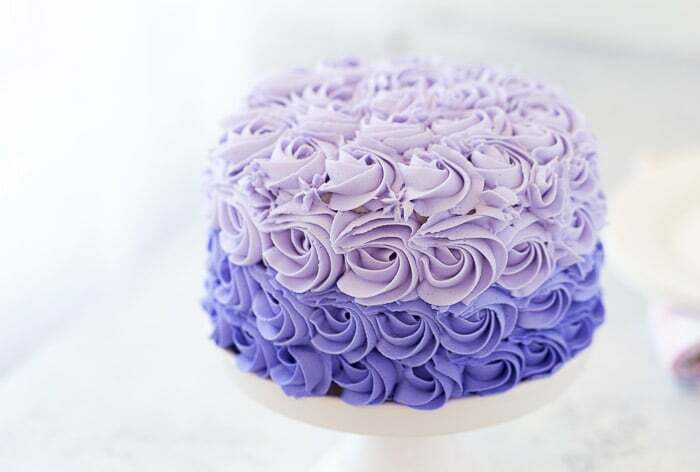 This cake looks so beautiful! Beautiful Zainab! Lemon all the things! Thank you very much Marcie!! I have been having fun going through old posts. It really is great to see how far you have come. Hi Bridget, I am not sure how many cups of batter this recipe made as I didn’t measure it. However, the full recipe should give you enough batter to split into two 10″ pans. This worked beautifully! I did two batches (little oven) and came out with four 1.25 inch 10″ rounds. Visiting your website always gives me a lot of ideas and I make delicious cakes for my customers. 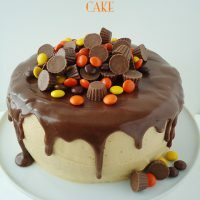 Actually, I operate an online cake shop in Noida and offers all types of cakes. 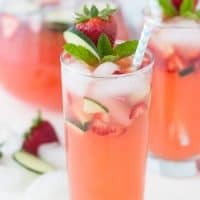 It feels too good when I find something new recipe. Thanks a lot for sharing your ideas and great work with us.